The fully air-conditioned hall has a sound-engineered environment for the performing arts and organisation of other co-curricular events. The hall is a great venue for seminars, parent-teacher meetings, teacher get-togethers and a multitude of other events. It is also used as a room for indoor table tennis due to presence of uniform lighting and adequate ventilation. There are two concert and performance stages with audio-visual facility in the school premises. One stage is situated near the Multi-purpose Hall and faces the all-grass sports field. The stage is used for performances during the major school events like Panache , Annual Prize Giving Function and Annual Cultural Mornings. Also, during the Middle and Senior School assembly, the stage is used by the Principal and Vice-Principal to address the students. The second performance stage is located inside the Primary Block. It faces the primary school quadrangle. The Primary Block performance stage is used by the Head Primary to address the Primary students during assemblies. 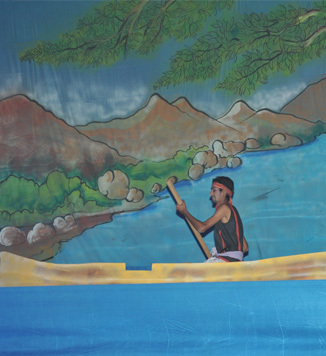 The stage is also used for co-curricular activities involving Primary students. The Chowk is the amphitheatre at Mayoor where watching a live performance becomes a worthwhile experience. It has been used as an arena for inter-school cultural events, one act plays and other dramatic presentations. The Activity Hall located on the first floor of the Primary Block is an attractive and modern facility. The Hall has wood flooring, permanent wall mirrors and sound system to support dance practice sessions. The facility is used by Primary as well as Senior Students. Furthermore, Aerobics and Yoga sessions can also be held inside the hall.